Exclusive elleven™ design features a distinctive shiny chrome upper finish with striking black accents. The intricate triple panel grip allows for ease of comfort and writability. 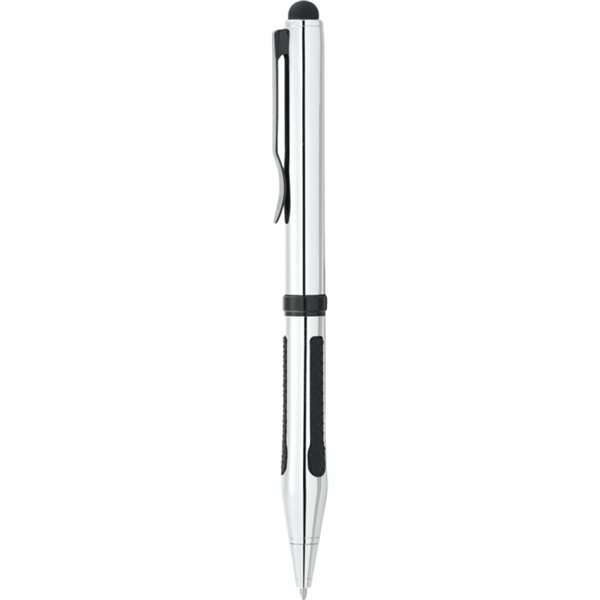 Pen includes premium blue ballpoint ink cartridge. elleven™ gift box is included. Excellent! High quality! The customized logo is perfect. Our customers love it! the price and shipping charges were the best. Printed very nice and the color selection was made properly. I appreciate the customer service rep's suggestion. We received the items in a very timely fashion and they looked exactly as we had ordered online. Very pleased. My logo and text printed very clearly. They looked great!